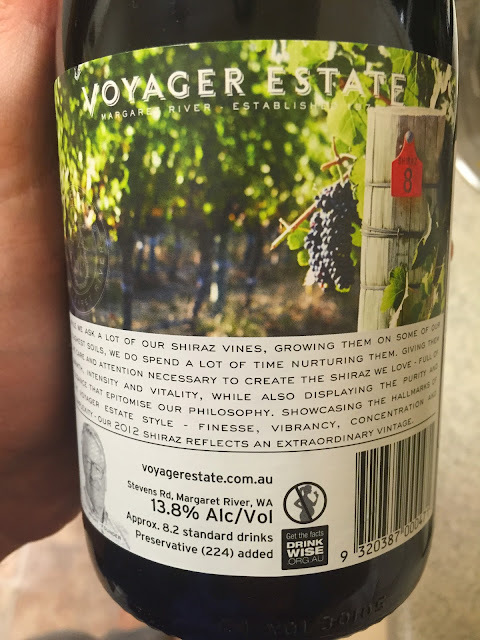 I really like the new images on the Voyager back labels. Lovely photos. The new Voyager Estate website looks great too. Shame this Shiraz doesn’t quite feel right yet. Very much a product of a mixed season, this is purple red in colour (a suggestion of Viognier?) suggesting read sweetness, but there is quite a deal of sweet/sour candied fruit smacking up against a load of earthen, drying, slightly meaty astringency leading to a wine of two halves – a sweet and purple fruited modern side and a completely different, black earth edged, backward and briary sour palate. End result is just a fraction jumbled – all arms and (acidic) legs. This is going to improve, but I didn’t enjoy yet. Wow! How good is the Voyager Estate website?